Woman to protest against Bayer’s Essure birth control device. May 1, 2017 San Diego, CA — Woman from around the US are getting ready for a protest this coming Saturday against Bayer Pharmaceuticals birth control device called Essure. Essure has been making headlines ever since thousands of women began speaking out against the permanent form of birth control and the serious side effects it can potentially cause. There has been 9,900 “adverse event reports” sent to the FDA between 2002 and 2015, yet as of today the FDA is still allowing Essure to be sold in the US, even though other counties has banned its use. Between 2002 and 2015, over 630 pregnancies were reported to the FDA by women who had Essure inserted but became pregnant anyway. The group of victims started as a Facebook community called E-Sisters which provides support and outreach for any women hurt or suffering from the Essure birth control device. Essure is a form of permanent birth control (sterilization) that involves placing two metal coils in a woman’s fallopian tubes. Essure is the only non-surgical form of permanent contraception available today. The procedure is performed in a doctor’s office usually in less than 30 minutes. 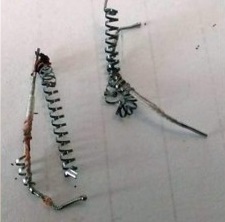 Essure has been linked to a multitude of adverse side effects by thousands of women who had the metal coils inserted. Side effects can range from mild to severe; some may even be life-threatening. The only way to remove Essure is to have a complete hysterectomy. Plans call on staging protests in various cities across the nation. May 6th, 2017 is the day when these victims raise their voices in hopes of pressuring both the FDA and Bayer into recalling this terrible device, which has caused so many woman pain and suffering. We support and stand by all women who have been harmed from this terrible device and hope that you share this event on you social media channels. If you or someone you love has been hurt from Essure, please contact us today as we intent to hold Bayer Pharmaceuticals responsible for the suffering it’s caused.